All recessions are tough – but the sky is not falling. Below is one of the better articles we have seen on why this one will not be that bad. Calgary Alberta mortgage broker for home purchase and mortgage renewal. 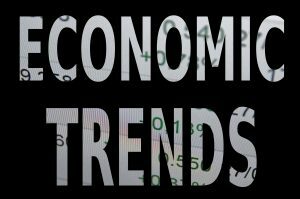 While Calgary’s economy has been sluggish this year and most experts are forecasting a recession, it will be a mild one compared with what the city has gone through in the past. According to the Conference Board of Canada, since 1987, the Calgary census metropolitan area economy has contracted only twice – by 1.9 per cent in 1989 and by 4.0 per cent in 2009. And the city has shown throughout the years it can and does bounce back following years of recession. The board is forecasting Calgary’s economy to decline by 0.5 per cent in 2015. During that period, its most productive year was 1997, when the economy grew by 7.9 per cent. Although Calgary’s economy is in a tough spot this year, the city has seen worse over the years, said Todd Hirsch, chief economist with ATB Financial. “It’s a theme I’ve talked about quite a lot. Yeah, it’s a downturn. It’s going to be a recession, but by no means I don’t think is this going to be the worst one the city or the province has ever seen,” said Hirsch. In August, Alberta’s unemployment rate was six per cent while it was 6.6 per cent in the Calgary census metropolitan area. Hirsch said he does expect those numbers to increase over the next couple of months, cresting over seven per cent. “But I think a lot of what will help Alberta this time around is that there is – it doesn’t always feel like it – but there is more diversity in our economy,” he said. Gillian McCormack, vice-president of business development for Calgary Economic Development, said the city’s economy does tend to bounce back following recessions. “Over time we’ve diversified, which is really continuing to allow us to weather the storm as we have others,” she said. Those areas include agribusiness, renewable energy, transportation and logistics, innovation and energy technology. “We continue to experience population growth for example. People continue to recognize that Calgary is a great place to live, work and play,” said McCormack. Bob Schulz, professor of strategic management with the University of Calgary’s Haskayne School of Business, said the city experienced worse economic downturns in the past, such as when oil dropped to $9 a barrel in the mid-1980s and in the early 1980s with the introduction of the National Energy Program. “This one is different because the technology has changed,” he said. “What the technology has done with fracking is it’s expanded the available reserves at prices that would be competitive with Alberta oilsands prices. The (recessions) in the 1980s, the first one was because the federal government was taking more money out of the oil business and the second one was because the world oil price went way down because there was too much supply by the Middle East. Coming out of this recession could take longer than previous ones, said Schulz. This short version of the article should provide some confidence that the sky is not falling in Calgary and we will recover. The RBC Housing Affordability measures, which capture the proportion of pre-tax household income needed to service the costs of owning a home at market values, fell slightly in Calgary for both two-storey homes, to 31.9 per cent, and bungalows to 32.4 per cent. The measure for condos stayed relatively the same 19.5 per cent. 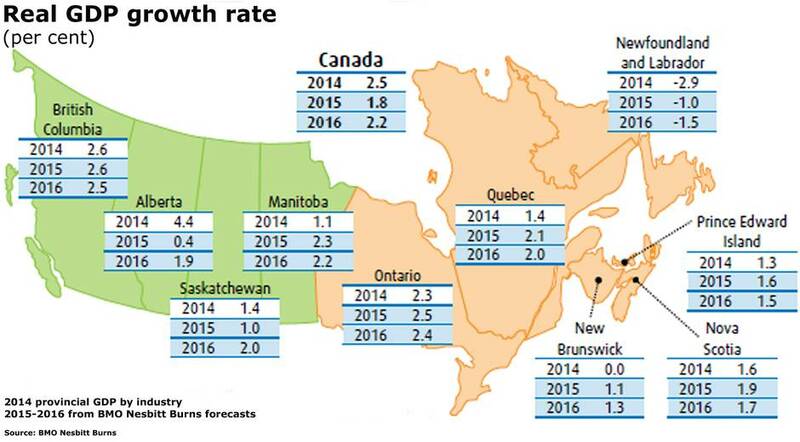 The graph below shows the expected Alberta GDP growth rate for the end of 2015 and 2016. The numbers are still positive – just not as high as they were before. If the Calgary to Edmonton corridor was a country it would have the 2nd highest growth rate in the world after China. Now these numbers are back to earth, things will continue as normal as oil slowly works it’s way back to about $70 a barrel. Click on the chart to see it larger. All the hot air about Calgary housing being over-valued looks to be hot air as CMHC’s report notes below. Below is the entire Forbes article and link it. Summary is there was too much oil and the prices came down. Prices should slowly go back to about $70 a barrel – which is just fine. This is great news! The dramatic drop we have seen in oil prices over the last few months has many economic forecasters worried about future growth. The problem with declining oil prices is that too much of a good thing can turn frightening. Someone who goes on a modest diet and loses five pounds over the course of a month might be elated. Someone who loses 75 pounds under those same circumstances would worry they have a serious illness. Conceivably, the precipitous fall in oil prices could mean that the global economy’s health has started to fail. While that would account for the drop in oil prices, most leading indicators do not confirm that economic diagnosis. Tight monetary policy typically plays a major role in economic downturns, and global policy is still incredibly supportive for the economy. Economic weakness in Europe and Japan have certainly contributed to the falling price of oil and have underscored fears about global growth. Yet a profound economic downturn seems very unlikely, even in those areas. World economic growth certainly has been, and remains, historically sluggish. Even so, the current and prospective levels of global economic growth do not seem to warrant the drastic change in the price of oil we have witnessed. If change in the demand for oil does not account for the decline, dropping prices must reflect increased supply. It is often difficult to have a clear understanding of the total supply of oil, since many of the world’s large suppliers are not transparent about what they produce. Some question whether increasing supplies of oil from Libya or Iran may have contributed to the slide in oil prices. But few world producers have enough spare capacity to significantly alter the balance of supply and demand. While pivotal global producers have likely played a part in the price drop, the dramatic revolution in the technology of oil production provides a better explanation for the change in oil prices. The technology of hydraulic fracturing, or “fracking,” and other technologies that allow us to access previously inaccessible energy reserves has enabled the development of significant new supplies in North America. According to the U.S. Energy Information Administration (EIA), U.S. production has risen roughly 45% over the last four years, while Canada now produces approximately 25% more than it did four years ago. Together, Canada and the United States produce some five million more barrels of oil each day than they did in 2010. In a market where a shift of one million barrels of oil per day is thought to have a significant effect on the price of oil, the productive capacity added in North America has been staggering. Total world demand has grown about 4% since 2010, which works out to about 4 million barrels of additional demand each day. North American oil production has therefore grown about 38% faster than total global demand. With that sort of dramatic shift in the supply and demand for oil, it is not surprising that oil prices have come under pressure. The energy revolution has also had a major effect on the production of natural gas, which means that the pressure on oil prices is even greater than the figures for oil alone suggest. 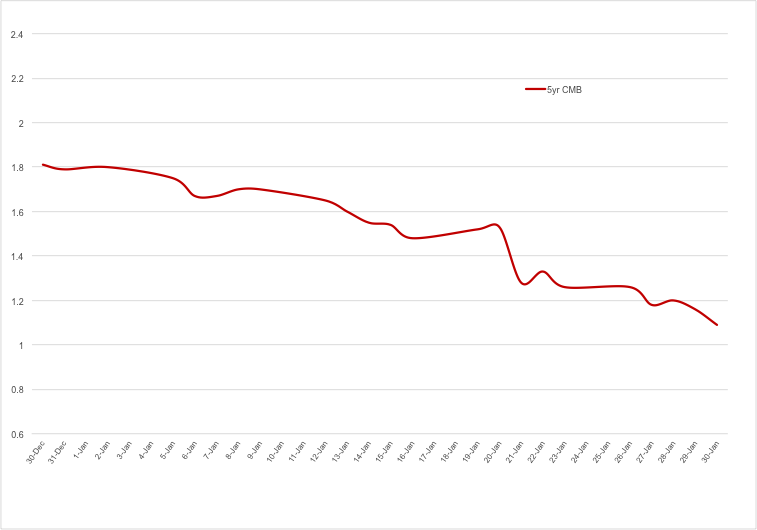 Yet the development of new reserves would not be expected to drive the price of oil down as quickly as prices have fallen over the last six months. Oil prices should have deteriorated more gradually, as new projects slowly came to full production. While the long-term supply-demand balance has shifted significantly as a result of new technologies, the long-term dynamics do not fully account for the speed of the price drop. Many believe that the politics of oil production account for the sharp decline of prices over the last year. While world demand has grown 4% since 2010, the EIA shows that OPEC’s share of world supply has risen only 2% and the crude oil they supply is up only modestly. In the past, Saudi Arabia has helped maintain higher oil prices by reducing their own output when global excesses developed. In recent months, however, the Saudis have refused to reduce their production. Part of their strategy may be to force Russia and other large producers to share the cost of limiting production. But Saudi Arabia also faces a long-term problem. As North America and other parts of the world develop new sources of supply, the Saudis will have less influence over the oil markets. Saudi Arabia may therefore be willing to sell their oil at a lower price in order to slow the development of new energy resources. Much of the new oil coming online is more expensive to develop. At the current price of oil, many of those projects no longer make economic sense. Projects are typically not cancelled immediately, but if prices remain low for an extended period of time, many higher-cost projects will be shelved. Supposedly, too, many recent projects have depended on heavy debt financing. Lenders are less likely to lend aggressively if prices remain low. Lower prices hurt all producers over the short term. But the Saudis may think they will have a much stronger long-term position if lower prices slow the development of new projects. That gives the Saudi Arabia significant incentive to allow, if not engineer, a large drop in oil prices. If the strategy of lower oil prices is to limit new production, oil prices probably do not need to remain this low to accomplish the goal. Many think the industry will begin shelving projects if prices remain low for six months or more. After that happens, oil prices can probably rise modestly without bringing a host of higher-cost projects off the shelf. Energy analysts think the overall supply and demand for oil will allow for stable prices at around $70 a barrel. At that level, energy costs will remain below their highs of the last few years, but above where they are now. The economic impact of $70 oil will be substantial, but not as great as the effect the price of oil will have around the current level. Economists and other analysts often compare falling oil prices to a cut in taxes because it leaves consumers more discretionary money to spend. Lower energy prices clearly leave consumers more to spend, but they also hurt other parts of the economy. It is the balance between the winners and losers within an economy that determine whether the net effect is positive or negative for the economy as a whole. While some global economies will clearly benefit from lower oil prices, the net effect in the United States will likely be less positive. To weigh pros and cons, we first need to determine net oil usage for the economy. Although the United States now produces far more of the oil it uses, we still import about 7,200 barrels of oil per day, according to the U.S. Energy Information Administration. If the long-run price of oil falls to $70 per barrel, that means the United States would save approximately $108 billion over the course of a year relative to the $110 per barrel oil cost of oil that prevailed over the last two years. The U.S. Department of Commerce estimated that the domestic economy produced $17.4 trillion of goods and services in 2014. Based on that estimate, a $108 billion reduction of imports should add about 0.7% of potential domestic growth. There is a risk, however, that what people save on imported oil may not translate directly to spending in other areas. Some of the money saved on energy may go to reduce debt or increase savings and so would not produce the additional consumer spending that some are assuming. That may have been part of the reason that December retail spending showed a significant decline in spending on gasoline without a corresponding increase in other areas. At minimum, spending may not increase in other areas as quickly as energy spending declines. According to a recent report by the Ned Davis Research Group, earnings for companies outside the energy complex have historically accelerated about one quarter after oil prices trough. Perhaps consumers simply wait until the savings on energy provide enough funds to make larger purchases in other areas. Even if consumers do eventually spend energy savings, however, it may not drive faster U.S. growth. Many consumer goods are imported, so some consumer spending would not add to domestic growth. The U.S. economy has also benefited over the last few years from enormous capital spending on new energy resources. Any reduction in capital spending caused by lower oil prices would be an offset to other increases in domestic spending. The American Petroleum Institute (API) reported in 2012 that the oil and natural gas industry invested $292 billion in new energy projects, improvements to existing projects, and enhancements of refinery and other downstream operations. In that same report, the API also noted an IHS Global Insight study that estimated $87 billion in U.S. capital spending on unconventional energy resources that same year. That spending would certainly not grind to a halt if energy prices remain low, but recent developments in North America have tended to focus on reserves that are harder to access. Sustained lower prices, therefore, may prompt U.S. developers to shelve more costly projects. . With that much capital spending exposure, it would not take a large loss of capital spending to offset a significant share of the $108 billion in estimated savings on imported oil. A similar analytic framework would also apply to other economies around the world. Large net consumers of oil, such as Europe and Japan, should benefit. Europe imports roughly twice what the United States imports, according to the U.S. Energy Information Administration, while Japan and China import about the same amount as the United States but have smaller economies. Many of these economies have struggled to grow faster, in part because they were heavily pressured by the escalating costs of energy. Lower oil prices in the short run, and the potential for slower price increases in oil prices over the next few years, should improve economic growth for countries that consume more oil than they produce. Countries that produce a lot of oil, however, such as Russia, many Middle Eastern countries and some countries in Latin America, will almost certainly suffer. Longer term those countries may benefit if lower prices discourage development in the United States and Canada, but reduced prices have obviously cut the economic growth that energy production provided those economies. Most other countries have not spent as heavily on energy exploration and development as the United States and Canada, but any reductions would cut growth even further. For the world as a whole, as in the United States, confident estimates of large economic effects due to the falling price of oil seem overstated. Instead, the reduced costs of oil for consuming nations should be offset by lost oil revenue and capital spending in other countries. For that reason, the net effect of falling oil prices on total global economy should be relatively modest. Investors are therefore probably best served to worry less about the impact of lower oil prices on overall growth and focus more on who will benefit and who will suffer. Many countries that spend heavily on imported oil have struggled economically in recent years. Europe and Japan have both posted very low rates of economic growth but have imported large amounts of oil. Lower oil prices could have a meaningful positive impact on those economies. Some emerging economies would also benefit. China, India and other large emerging economies stand to benefit from lower oil prices. A number of important emerging markets, however, sell large amounts of oil. Russia’s economy is heavily dependent upon energy sales, and many of the Latin American economies are also leveraged to oil prices. In terms of overall proportions, energy production plays a larger role in the total economic picture within the emerging markets than in the developed international markets.